Healthy, Fit, and Focused: Insanity MAX: 30 Coming TOMORROW!!! Ok folks...It is almost here! There's less than 24 hours until Insanity MAX: 30 is released to YOU!!! Do you want to be ready to get your copy FIRST?? Well, before we get to that spot, here's some more details of the program! Insanity MAX:30 is a 60-day in home workout program that pushes you to your personal max in just 30 minutes a day without equipment for killer results!! Insanity MAX:30 makes you push as hard as you can for as long as you can until you MAX OUT - the point when you just can't do any more or when you begin to lose good form. You'll note your MAX OUT time, recover and finish the rest of the workout. Everyday you'll push to increase your previous MAX OUT time so they constantly progress, improve your fitness, and get the full body results you've always wanted. PLUS, this program includes a low-impact modifier for every move so that ANYONE at any level can MAX OUT without the impact to your joints!! Who should buy the program? Insanity MAX:30 is for anyone who is looking to lose weight, tone up and get the best body of your life!! It's perfect for anyone short inn time who wants jaw-dropping body in just 30 minutes a day!! The low Impact modifier makes this program approachable to people of all skill levels. It's also great for anyone who wants a flexible eating plan, or who does not want to use any equipment! Each workout will last for 30 minutes, 5 days a week for 60 days! You won't need a ton of space to workout in...just enough space to move side to side in each direction. How Do I get my Copy First? First thing's first...If you want to get a copy of Insanity MAX 30, you can only get it through a Team Beachbody Coach starting on December 2nd. If you do NOT have a coach, then make sure to make me YOURS (Click HERE)!! THEN, click on CONTACT MY COACH (within the Team Beachbody page) and tell me you're a new customer for the Insanity Max 30 info!! 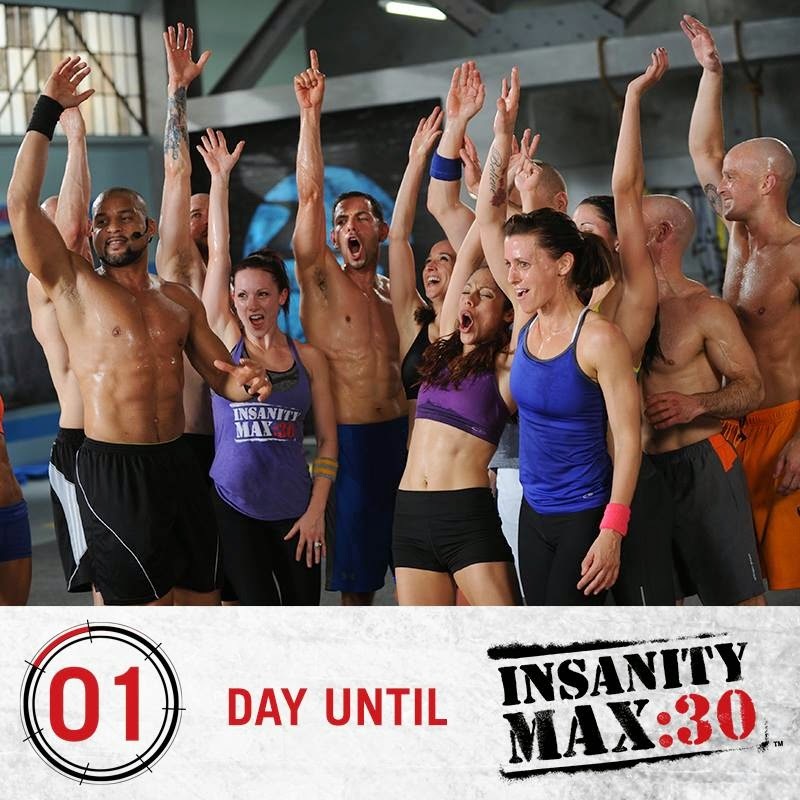 OR, you can complete the application below for more info on participating in the Exclusive Insanity MAX:30 Test Group! 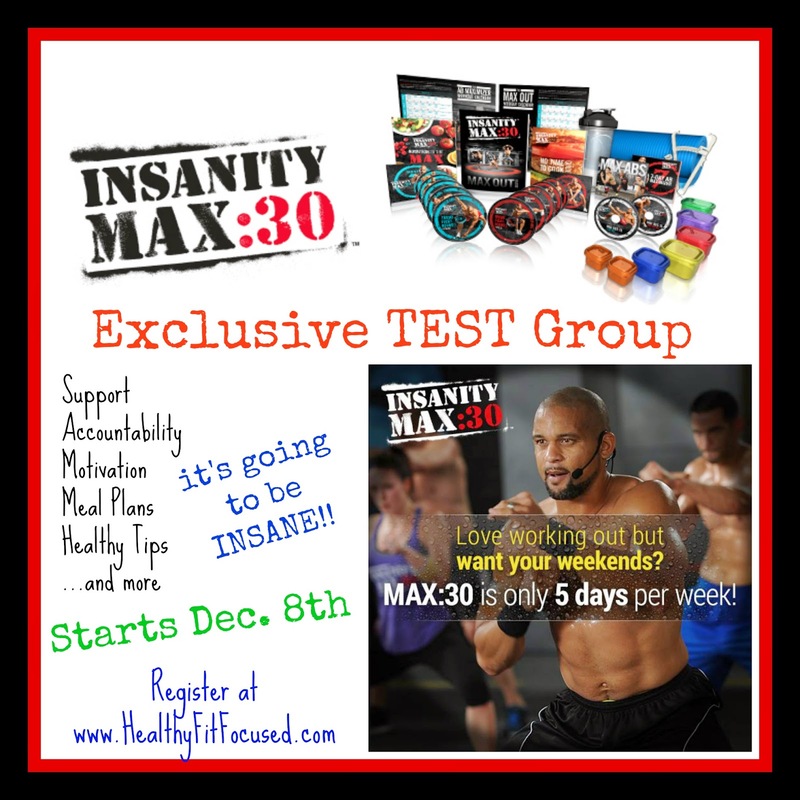 What is the Insanity MAX:30 Exclusive Test Group? I'll be hosting a private and EXCLUSIVE Test Group for Max:30 which will include daily support, motivation, accountability, help throughout the program, etc. If you are interested in reserving your spot in the test group please fill out the application below! What is Required for the Test Group? Each Test Group participant is required to purchase the Insanity MAX:30 program from me as their coach. 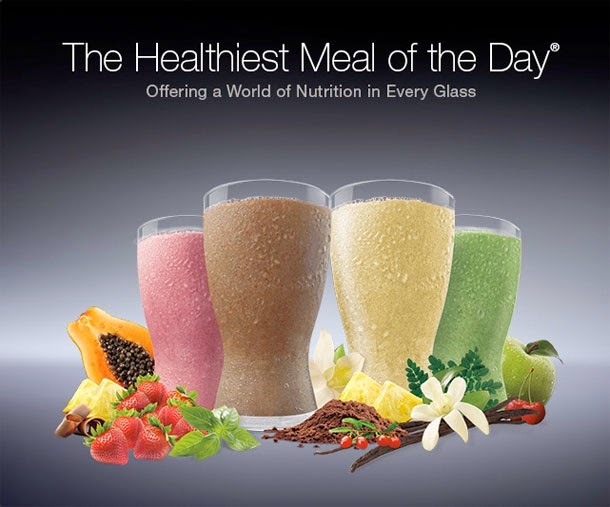 You will be required to replace 1 meal a day with Shakeology for the duration of the program. The best way for you to do this is to purchase the Challenge Pack, this will give you a discounted price plus includes FREE SHIPPING (seriously can't beat that...I hate paying for shipping!!). This package includes everything you need in order to get started!! Do I have to Drink Shakeology? Ok, let's face it...this is NOT a walk in the park fitness program. Your body and muscles NEED to be fed the proper nutrients and vitamins to support you during these tough workouts! You will be fueled with Shakeology and will help you recover from the intense workouts more quickly! It is an easy and quick meal you don't have to think about and it's portion controlled so you don't over or under eat!! So, in order to participate in this test group you will need to be drinking Shakeology for these 60 days!! You'll thank me later!! What do you do as my coach?? As your coach, I will be there going through the program WITH YOU! You're going to get the daily support, motivation, help with the meal plan, recipes and more... This test group will be a private Facebook group so that NO ONE but the people in the group can see what is going on in the group. We'll walk through your before and after pictures, taking your measurements, and any obstacles that seem to get in your way, slow you down or that have plagued you in the past from reaching your goals! 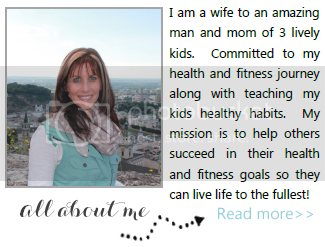 My job as YOUR COACH it to help YOU SUCCEED!!! HOW DOES THIS SOUND TO YOU?? ARE YOU IN??? Apply NOW before the spots are filled!!! You will then be added to the list and know how to get it FIRST!! If you don't have a Beachbody Coach, MAKE ME YOUR COACH HERE!!! This will save you time tomorrow when you're trying to order! !